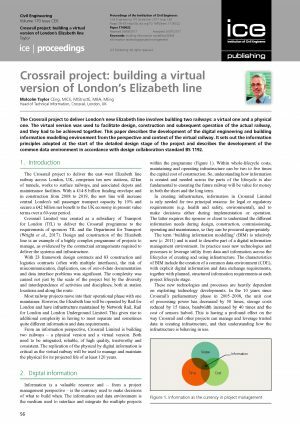 The Crossrail project to deliver London’s new Elizabeth line involves building two railways: a virtual one and a physical one. The virtual version was used to facilitate design, construction and subsequent operation of the physical version, and they had to be achieved together. common data environment in accordance with design collaboration standard BS 1192.